Trusted Shops Demoshop | Dresser "Peter"
Chest of drawers for your clothes in cottage style of solid oak. The outside is stained dark and waxed fitted. With wooden handle buttons. Drawers with three wooden pull-outs. Interior dimension (W/D/H): each 40/35/15 cm. Assembled size (W/D/H): 90/48/131 cm. All technical details may differ a little bit. 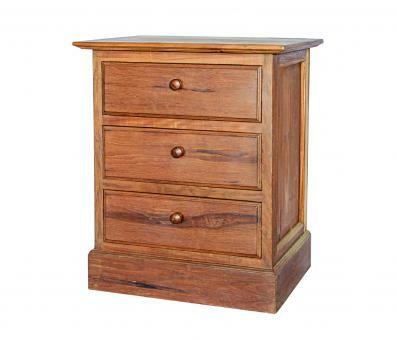 The chest of drawers will be delivered in parts and can be assembled on location very easily. Manual obviously contained.